Lavender and Blackberry Ice Cream. Named after the River Céou that starts at Gaumier in the South and meanders to Castlenaud La Chapelle in the North where it feeds the mighty Dordogne. Along the way it passes through a number of small villages, one of which is Daglan. Céou River. It is so crystal clear you can see the many fish and pond life swim by. Every Thursday morning in July and August there are guided 6Km walks around some of the dry stone houses which date back several centuries. 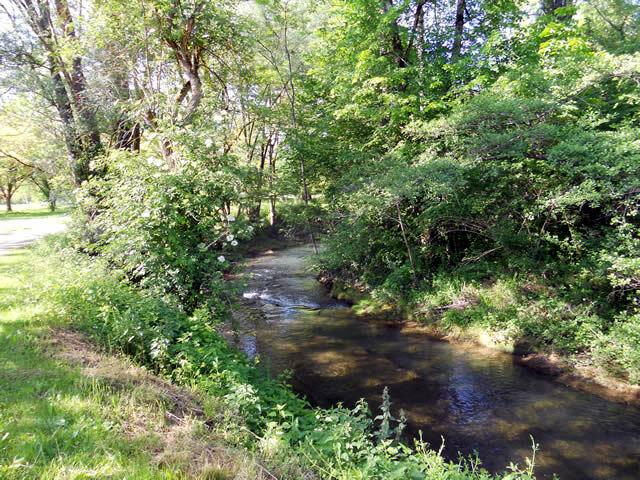 The walks include an interesting stroll along the banks of the River Céou where you will find recreation areas, picnic grounds, tennis courts and children’s play areas, Ideal to relax and watch the Céou flowing by. Paul having a relaxing few minutes. 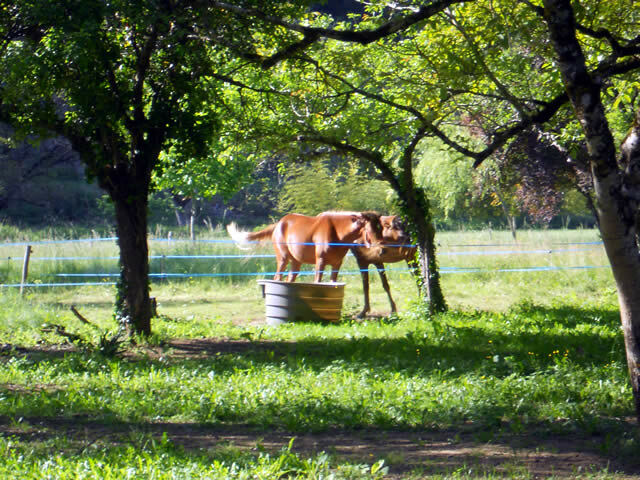 This picture was taken adjacent to the River Céou, where you’ll see several horses grazing in the fields with to the background song of cicadas. Well it was a hot day! 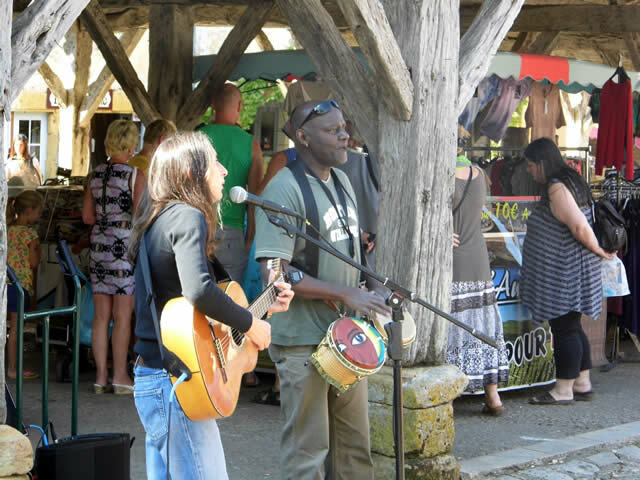 If you are in the Perigord this weekend, why not try Monpazier for the Music Festival which starts today. Also, at Castlenaud La Chapelle there is an evening concert and a “raid”, no it is not climbing up the castle walls with sword in hand, a “raid” is running, biking and canoeing races. The evening Bio Markets start every Thursday eve in Sarlat at the end of June, where you can buy lots of lovely organic food. 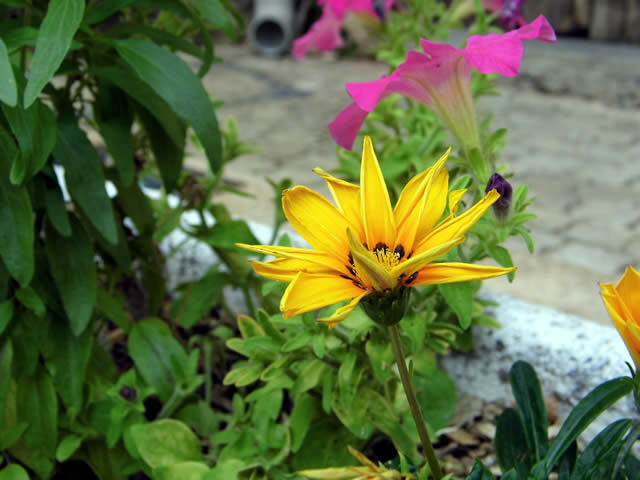 The weather is warming up, skies are blue and the meadows and our neighbour’s pots are full of flowers, making the month of May a lovely time of the year to visit the Perigord. But do not forget to take into account the public holidays. 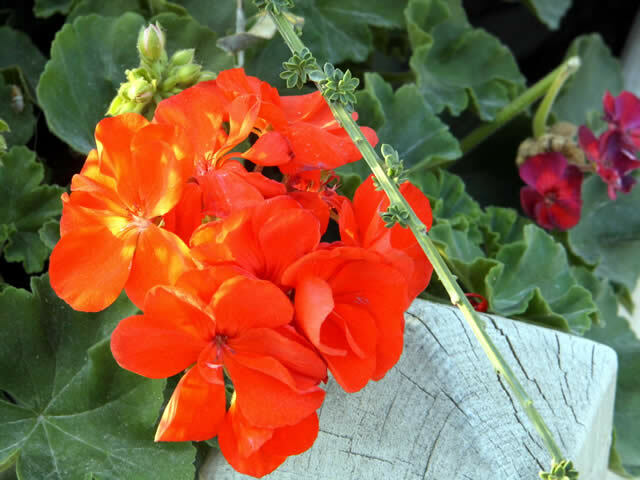 France has several public holidays in May – Friday 1 May is Labour Day, Friday 8th May is WWII Victory Day, Thursday 14th May is Ascension Day and Monday 25th May is Whit Monday (note also that Sunday 31st May is Mothers Day). A popular tradition in France is to ‘faire le pont’ when a national holiday falls on a Tuesday of Thursday people often take the Monday or Friday off as well to make a nice long weekend. So that shops, restaurants and other amenities may close on these occasions. 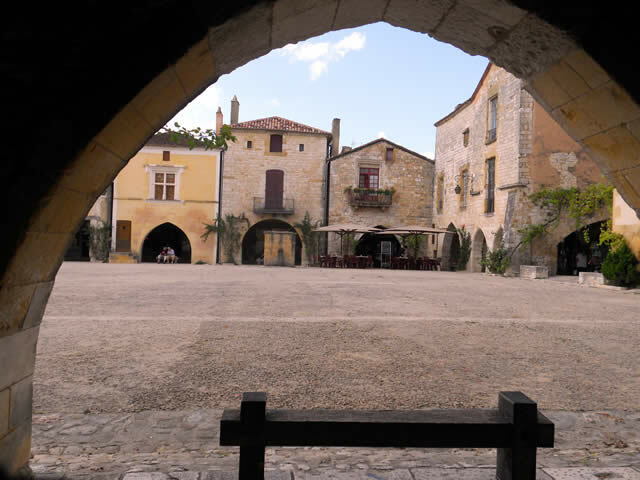 Bergerac – 22nd to the 24th May – Jazz Festival with further Jazz Festivals in July and August. Sarlat every Wednesday for fresh vegetables, fruit, cheese, meats, flowers etc and every Saturday for the main market, which sells just about everything, clothes, shoes, and fresh produce. Domme and Monpazier markets every Thursday morning. For a change no market and very few visitors which gave us the chance to enjoy the gorgeous building of the 13th century that surround the square. 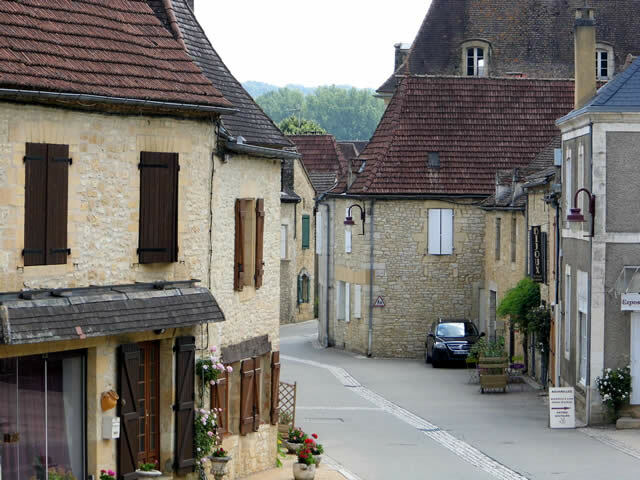 A typical bastides town set out in straight lines is more than 700 years old. It is also the birthplace of Jean Galmot, journalist, writer and Member of Parliament who was disgraced and then assassinated by his political rivals at the beginning of the 20th century. I do not think that our political parties would go that far in eliminating the opposition on the run up to the General Election on the 7th May! I could not resist at least one picture of market day which brings Monpazier to life every Thursday morning. These two buskers were really good. Just a few events that will be happening over the Easter period in the Perigord region of South West France. A costumed guide demonstrates how to use the crossbows and explains the many encounters between the English and the French during the Hundred Years War. Easter Egg Hunt with Easter festivities in the Place Centrale. From the 7th April to the 30th April they will be having a funfair on the Place de La Republique. There is a Treasure Hunt on the 6th April, where children will be allowed to roam the Chateau and gardens in order to find a mystery word in connection with the history of Hautefort. There are also many chocolate surprises to win along the way. 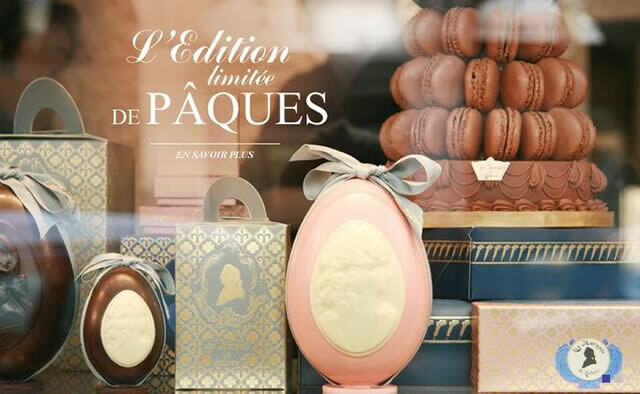 A trip to France at Easter is a treat, just to look through the windows of the many chocolatiere’s that will be displaying their fabulous creations. 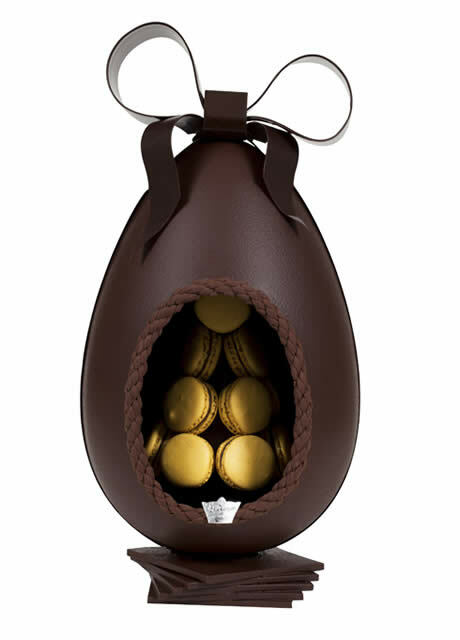 This creation is one of my favourites, the cameo Easter eggs look too good to eat, well almost. This chocolatiere, Ladurée is to be found in Paris, where they sell delicious chocolate eggs and chocolate macaroons to die for. Here is another one of their creations, macaroons inside a dark and rich chocolate shell, awesome. Out with the old and in with the new – well almost! Firstly, just a few words concerning the tragic loss of life last week in France. My condolences to every culture, we are all human beings; the criminal act of a few should not alter this. As the saying goes – in January we cast out the old and welcome in the new. It is a time of reflection on events of the previous year and resolve and plan for the future. This year is all about change for us, we have been working towards our move to France since about 1998 and now we are nearly there it seems unreal somehow. 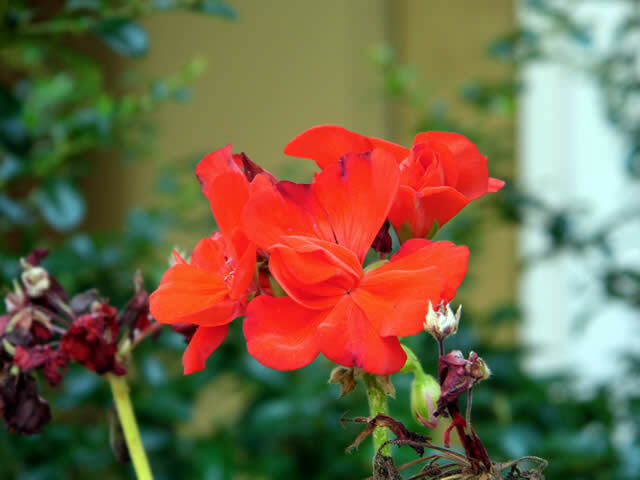 We plan to move in September but it could take longer, it all depends on the sale of our property in England. However, first things first, looking back over the previous year we have completed most of the tasks for our move to France, which is great. We only need to make our home more friendly for our two cats. The balcony needs to be more cat proof and we need a door for the boiler room for their safety. The completion of the kitchen-cupboard doors etc. Also, if we have time, a few floor boards in the attic would be nice for storage purposes. So with this in mind I think that a month by month plan would be best. 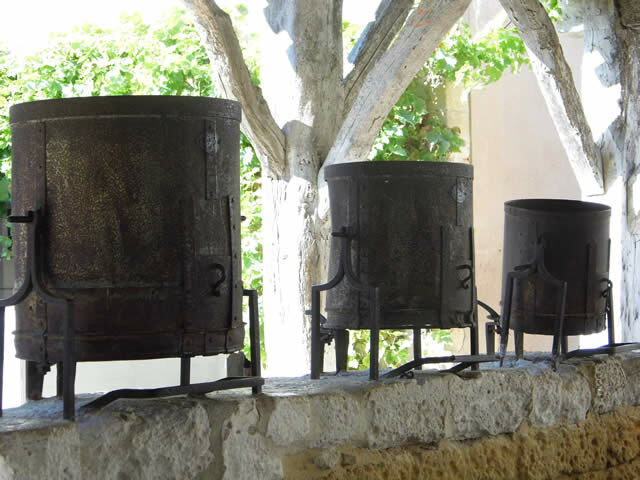 Out with the old, does not apply to Monpazier, I think that it will always be one of our favourite places to visit where we can guarantee we will always find something old or new of interest. 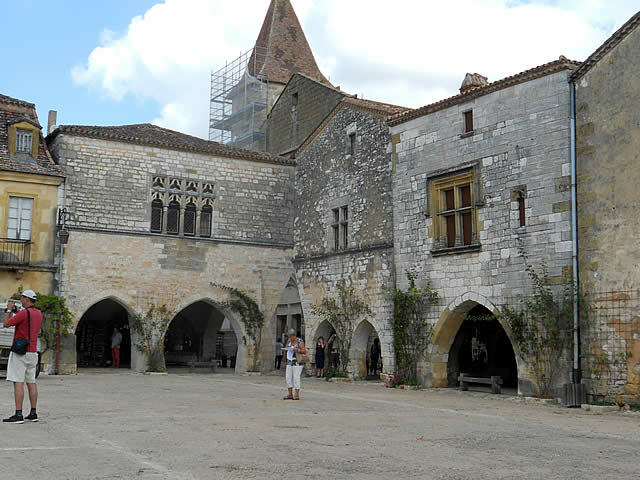 Magnificent Monpazier, the architecture alone is worth a visit. However, they also have boutiques, antiques, and of course a market every Thursdays morning which is very extensive in the summer months; selling everything from cheese to linen. Get there for about ten in the morning for everything to be open but remember that the stalls and shops start to close for lunch at about twelve, for two or three hours. 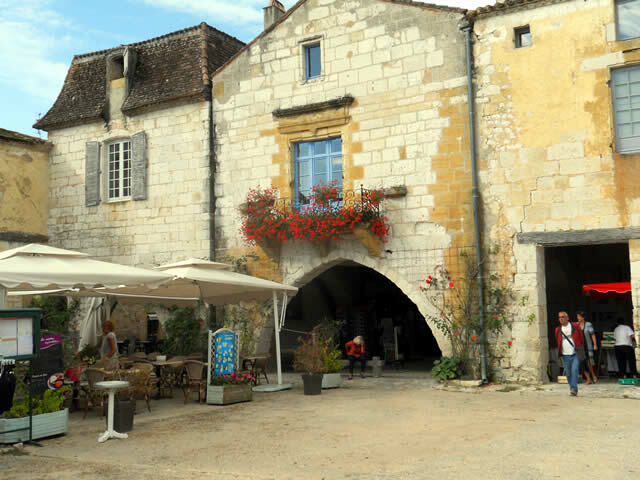 There are many restaurants, brasseries and bistros in Monpazier we have only tried four of them, all excellent. The Cowslip Primrose is in Bloom.